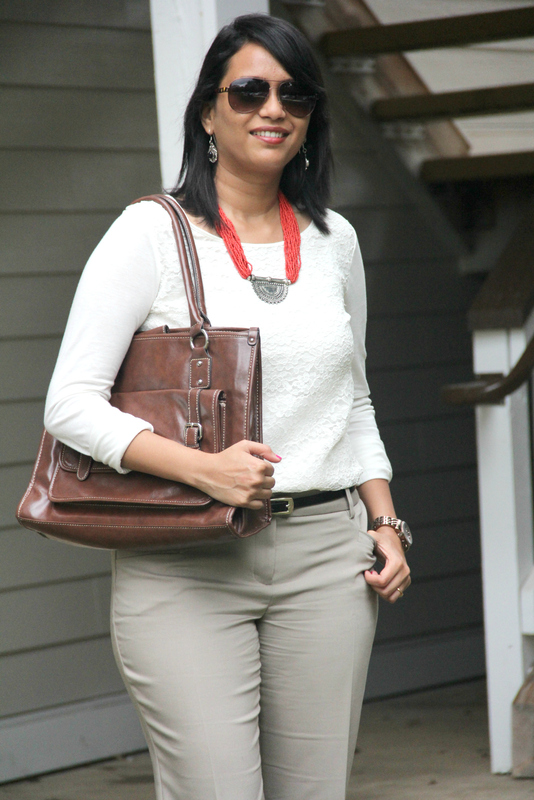 I have never liked dressing up in muted tones really.. I have to have some color either top or bottom, or a scarf maybe. 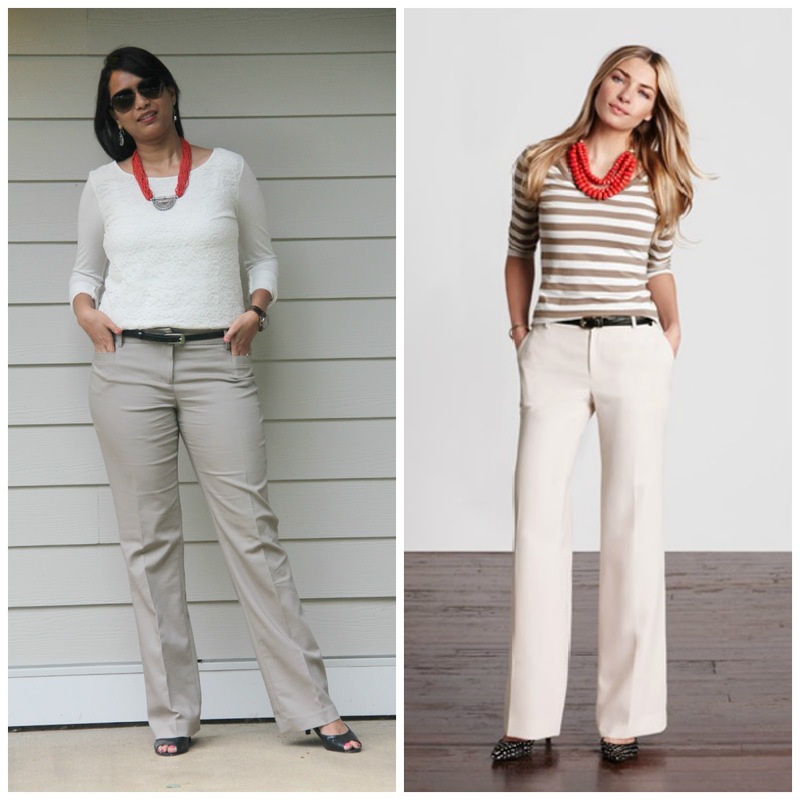 But this one picture from the Banana Republic ad inspired me to give it a try. 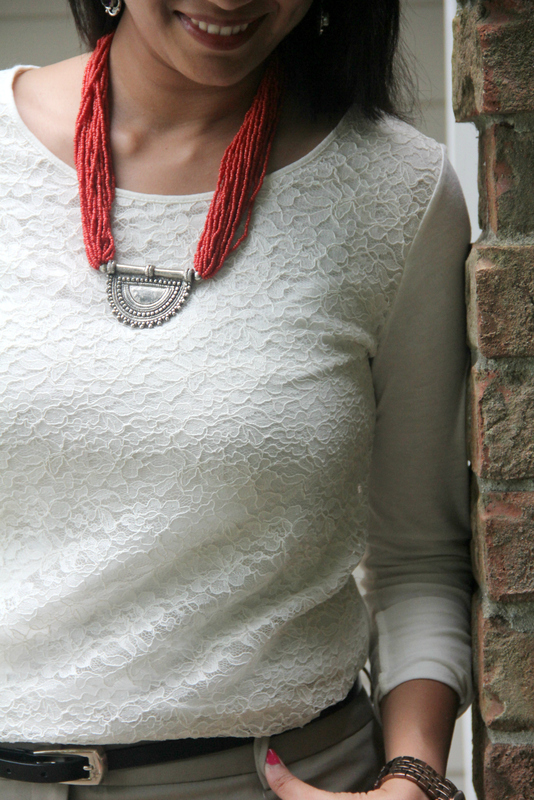 I loved how they had styled the look just with a pop of color from the red beaded necklace. I don't know if this is my fave look, but I just gotta had to try it out..what do you think? Does it work or is it a pass? Oh and bee-tee-w, have you entered the giveaway yet? All you gotta need is an Instagram and a Facebook account. P.P.S. : I got my hair permanently straightened at Lakme Salon in India hair. Frizzy, unruly hair..see you never! I love your hair...it really pulls the this look together! I've been wanting to tame my frizzy hair for sometime now via some professional help. 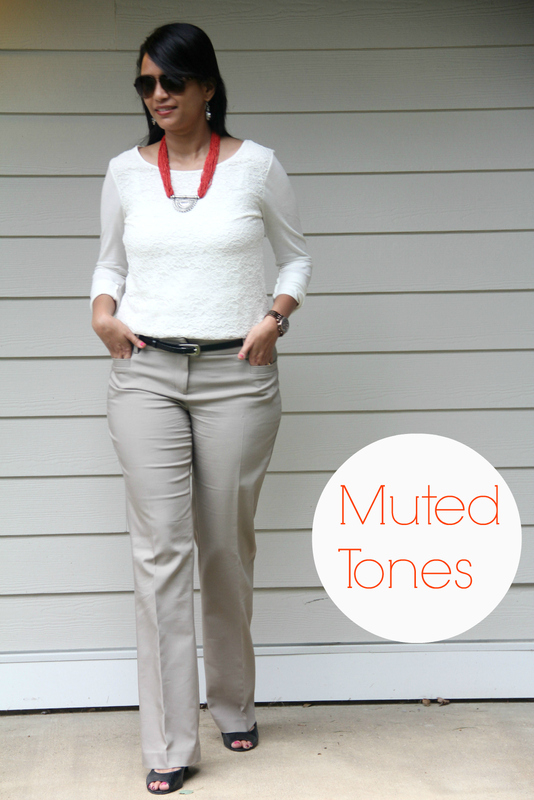 I really the combo of neutrals with a pop of color! Have a good weekend! I think it's a great look. I LOVE your watch. U completely rock this look. N those nails look cute.